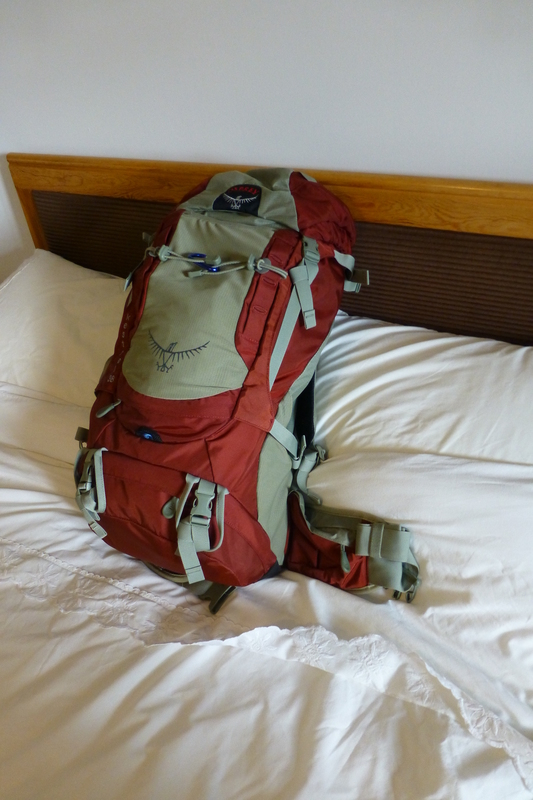 As time counts down to departure it has come to a critical moment… Will the goodies I want to take, fit into the (somewhat conservatively sized) bag. Will the equation actually balance? 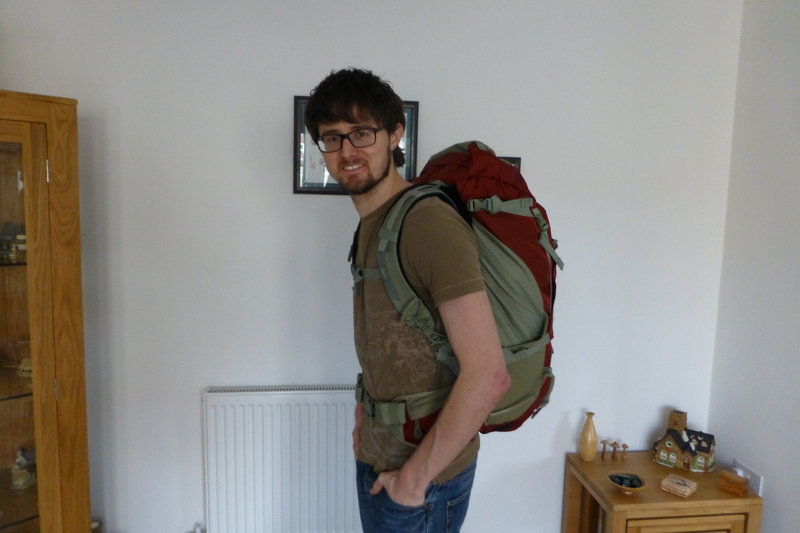 And the end result – a happy man with a bag weighing in at a mere 10kg. And there’s even room to squeeze in an after dinner mint! ← Losing my blogging virginity! Impressive! 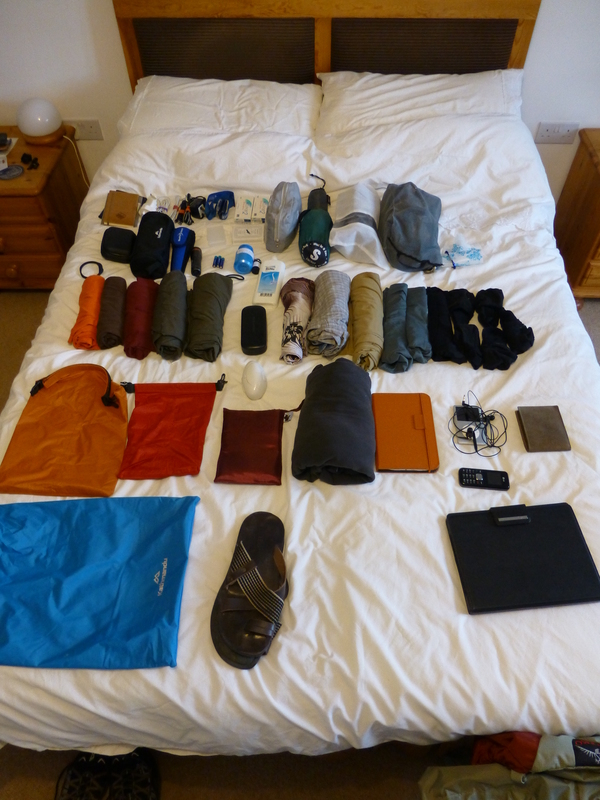 I whittled my pack down to 11.6kg when I went to South America… but that didn’t include the almost 5kg hand luggage I had – laptops, DSLR, etc… electronics need to be lighter! If you need it, you’ll be able to buy it in Asia! Hopefully! Safe travels! 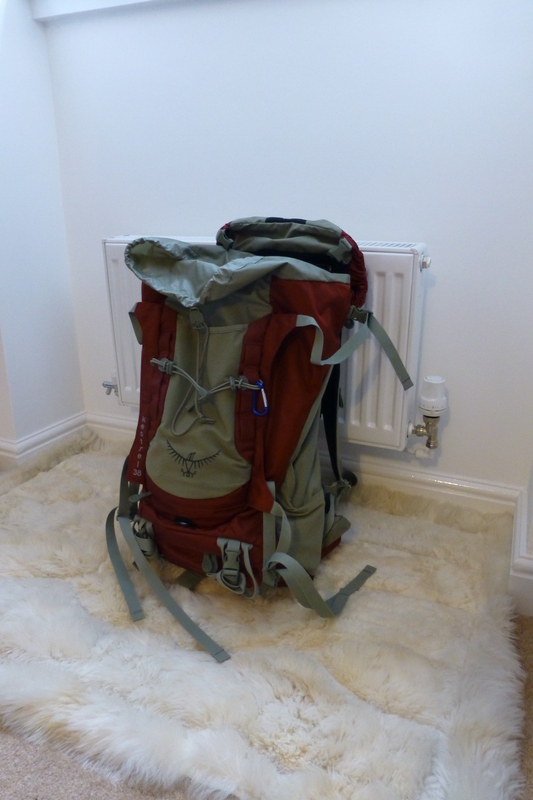 Our clothes and camera gear is just over 10kg each, but unfortunately we have two 24kg bags full of gear (climbing and diving!). Have fun you two! Wow. 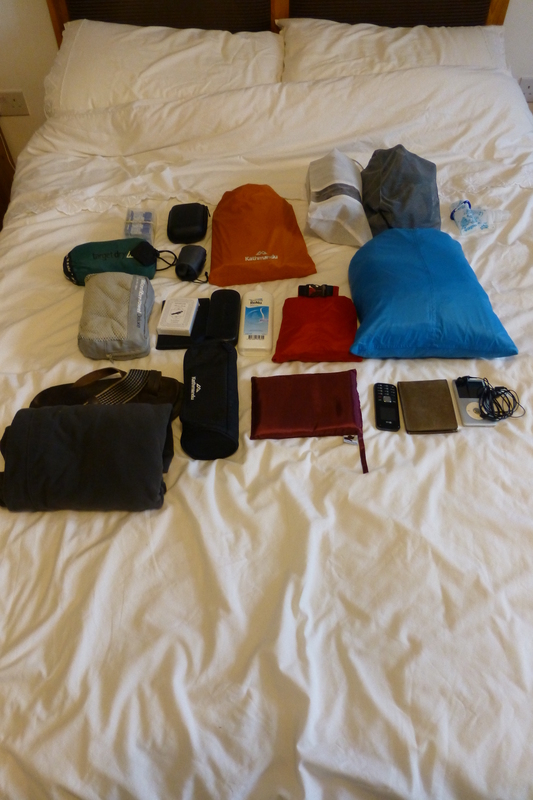 I’ve left most of my climbing kit at home – going to rent (or beg people we meet)… Definitely going to be climbing throughout the trip. And can’t wait to finally get my PADI and be diving as well. Good luck on your travels. You’re doing what I hope to do one day 🙂 I’ve just started diving too! Planning to get my PADI, ideally in a warmer clime…Look forward to more exciting updates!